Above and Beyond Our Expectations! "Kim was a pleasure to work with. Kim went over and above our expectations. Loved having her for our realtor and will definitely refer her to others." 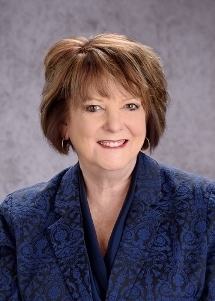 "Kim Belz is a wonderful realtor---dedicated, professional and thorough. I would highly recommend her to anyone buying or selling a house." "Kim was an outstanding agent. She was on top of every detail and responded promptly to every request. 10+!" "Kim helped us to sell and purchase our new home. We had 2 different agents that did not get the job done and Kim sold our house in 21 days. She is great in the negotiations and is super nice and helpful. Definitely recommend her!" I Recommend Kim to Anyone! "Kim was a gem to work with. She appreciated that we were motivated buyers and did everything she could to make sure the sellers gave our offer strong consideration. Kim was very responsive through the whole process of buying and selling, and I never felt we were a bother. I recommend her to everyone." "Kim always goes above and beyond to help our family find a place to live... be it a rental or finding our dream home. Kim truly is the best. It is so obvious that she cares about people... and that is a true gift." "Thanks for all of your advice and professionalism. I will certainly recommend you to anyone I know buying or selling." "Kim is extremely pleasant to work with. She is flexible and very knowledge. Kim is honest and will provide constructive and helpful information. Excellent services. Quality professionalism." "My wife and I are experienced in the buying and selling of homes, and we found our experience with Kim Belz to be exceptional. Kim's efforts, knowledge and professionalism is the best we have experienced. Kim sold our house for 20% more than any other house in the subdivision in the prior 6 months! Her involvement with title, inspection and appraisal was very appreciated." She Will Guide You Through the Process Seamlessly! "I have worked with Kim to purchase homes and to sell homes. She has guided me to make great decisions each and every time. In fact, she helped me to sell a home that was more than challenging, a one-bedroom ranch with no basement. She is creative in how to market your home and generate the interest that brings in prospective buyers. While the buying and selling of homes can be very stressful, Kim has always made it less so, in fact it has been fun at times. Additionally, she has great connections that can make the overall process much easier and enjoyable." "Kim is a total professional. She handled all of the details with expert experience." "My wife and I were very impressed with Kim's approach to our situation. We worked with her over the course of several months. Kim listened well, was always available and responsive. She gave us good advice when needed and negotiated strongly yet tactfully on our behalf. We always felt that she had our best interests at heart and really wanted to do the best job she could for us.